K 2 16732210 https://www.kaercher.com/ae/home-garden/pressure-washers/k-2-16732210.html The Kärcher "K2" high-pressure cleaner with smooth-running wheels is ideal for occasional use and removal of normal dirt, e.g. bicycles, garden tools or garden furniture. The Kärcher "K2" high-pressure cleaner with smooth-running wheels is ideal for occasional use and removal of normal dirt, e.g. bicycles, garden tools or garden furniture. The "K2" high-pressure cleaner is intended for occasional use and removal of normal dirt around the home, e.g. bicycles, garden tools or garden furniture. Features include two smooth-running wheels, trigger gun, 4 m high-pressure hose, dirt blaster with rotating pencil jet for removing stubborn dirt and a water filter which protects the pump against the ingress of dirt particles. Additional features include a Vario Power spray lance (VPS), where the water pressure can be adjusted to the surface being cleaned by simply twisting the lance. Ideal for surface-friendly cleaning. 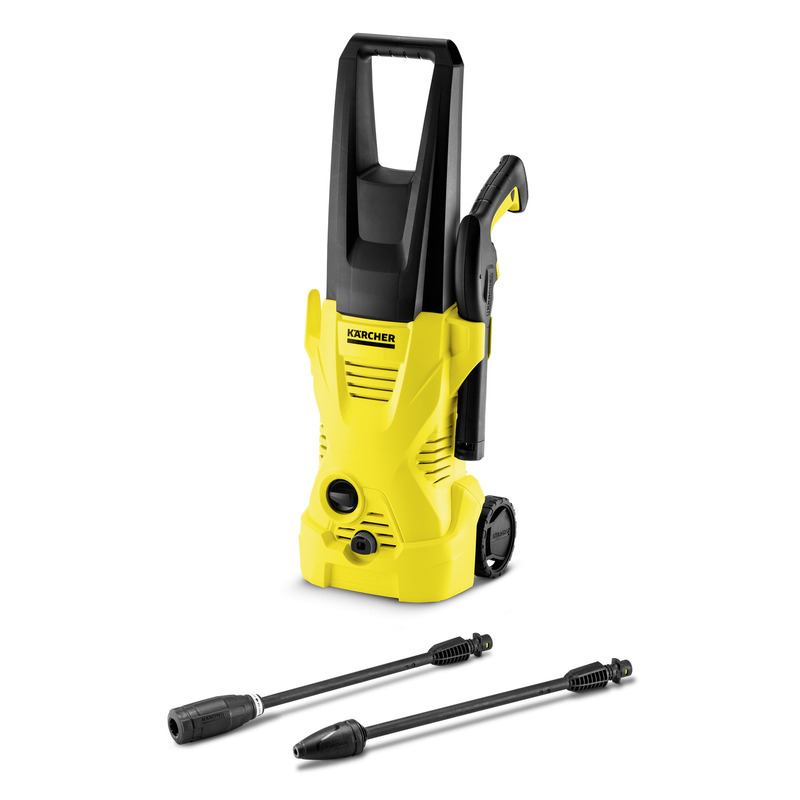 All Kärcher pressure washer equipment includes an integrated suction mechanism for the detergent. Safe protection from pressure overload. Motor shutoff when trigger gun is closed.